Arne Duncan has invited taxpayers to make comment regarding possible changes in the Federal Educational Rights and Privacy Act (FERPA). The Department of Education is attempting to change FERPA to allow private and invasive information to be gathered on students and families in order to supply the workforce. As we have stated in this blog many times, the information does not assist in delivery of providing better education for students, rather, the information is to provide data to the Departments of Labor and Health and Human Services to provide the workforce. We are circulating the information sheet (below) to inform taxpayers and American citizens in this extreme governmental effort to breach your child's and your family's privacy. 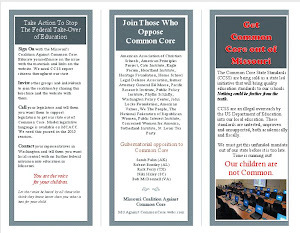 Please read and if you are concerned about this overreach of the Department of Education, you have until Monday, May 23, 2011 to make public comment to the Department of your opposition of the broadening of governmental regulation. At the end of the information sheet is the email address to use for your comments. Circulate this information to people you may know who value their privacy and object to the DOE's plan to profile your child from pre-school to age 20 and through the workforce. The concept of “state longitudinal data systems” (SLDS) is the driving force behind the proposed regulatory changes. In its attempt to further federalize education through Race to the Top and other statutes, DOE wants to construct massive and interconnected data systems that will allow various government agencies – and even private entities, perhaps including employers -- to access students’ personal information without the knowledge or consent of the students or their parents. 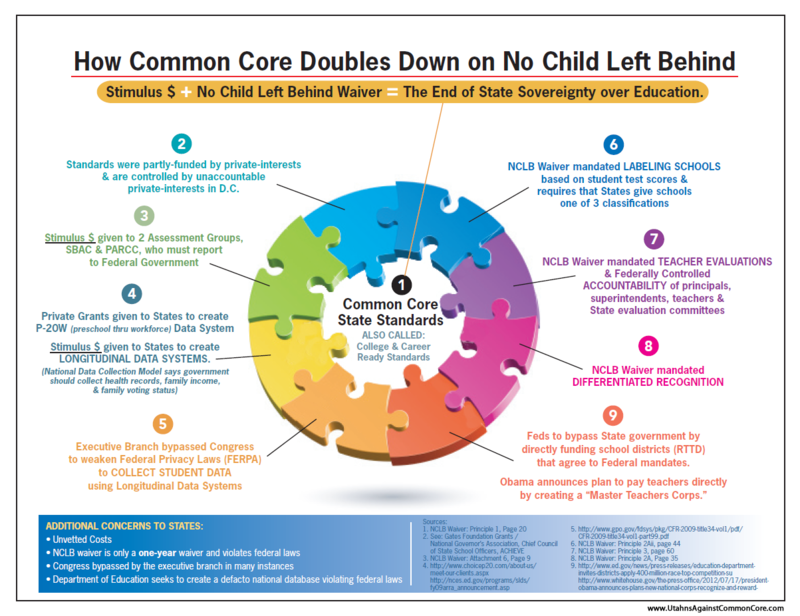 SLDS structures in some states, such as Illinois, already contemplate the sharing of PII for purposes far beyond effective education of children – for example, to create “a network of federal, state, and local offices that . . . facilitate the development of the United States workforce.” Indeed, DOE itself argues that “there is no reason why a State health and human services or labor department, for example, should be precluded from . . . receiving non-consensual disclosures of PII to link education, workforce, health, family services, and other data” for the purpose of “evaluating” education programs. The proposed changes to the FERPA regulations are a blatant attempt to bypass Congress, and therefore the American people, by weakening the privacy law to facilitate radically increased government control over individuals’ lives. Listed below are some specific objections that can be made to the proposed changes. Comments can be registered at http://www.regulations.gov. (See below for more specific information for the comment process.) The deadline for commenting is Monday, May 23, 2011. Research Studies – DOE proposes to greatly expand access to PII for use in “research studies.” Currently, FERPA allows nonconsensual disclosure of PII by educational agencies and institutions (with strict limitations) to companies that are conducting research on behalf of those agencies or institutions. The proposed changes would allow agencies further up the food chain – those that receive such PII from other agencies or institutions -- to disclose that data for their own research purposes, and to do so without express legal authority. Thus, for example, a school may turn over PII to DOE as part of regular procedure and not be told that DOE is disclosing that data to a research company. And if the school discovered, and objected to, the redisclosure, DOE would not even have to point to an express legal authority for its action. “Implied authority” would be sufficient. I am having trouble finding Arne Duncan's email. Will saying the same thing in the comment box do? Yes. I will rewrite that aspect: the comment box is how you want to make your opinion known. The feds have no constitutional right to be involved with education in the first place. This is not about education but indoctrination and control. No, we do not want it. 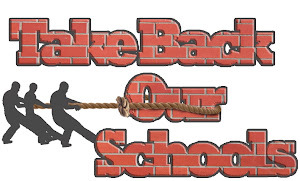 We want the states to take care of the education system with the involvement of the parents, not the feds. I am in Oklahoma, not Washington, DC. We should raise and educate our own. The feds have no right to ingterfer with education of children and never have had the right. It is another oversteping of the feds to get closer to 'big brother' is watching you. As a general statement, Washington, DC should be cut in half and stick to the constitution. I have watched the deterioration of public education and find this the most odious proposal yet. I am outraged at the complete disregard for the Constitution. Education was left to the states to oversee. The quality of American education has steadily declined since the Dept of Education was formed. Our children are taught that the government should take care of them and corporations are evil. The kids are being taught to accept without question the intrusions into their lives. This is no longer about "education" but about control.